++ Book information from the publisher is here, along with a PDF excerpt. 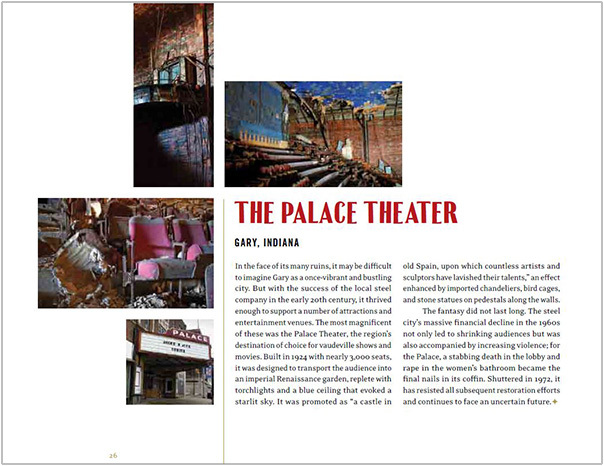 This hardcover edition features around 200 photos along with introductions by the actress Martina Gedeck and director Bryan Papciak. 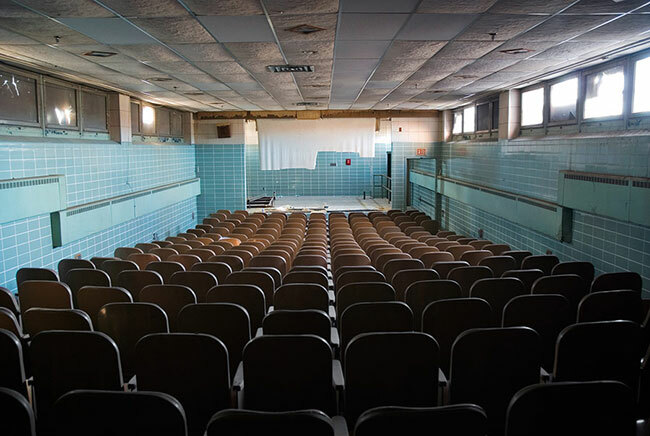 Stages of Decay is a collection of photos of abandoned and deteriorating performance spaces, with a range that includes the stunning historical theaters as much as the modest auditorium in a shuttered elementary school. 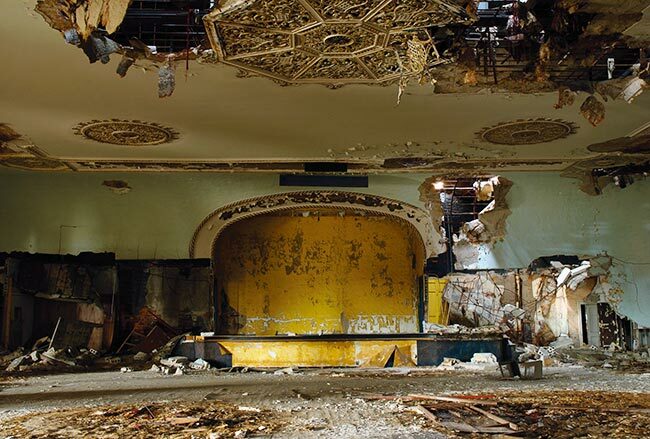 It focuses on the actual stages as they become disfigured by neglect, as the decay moves from the first patches of mold to crumbling plaster, rotting curtains and collapsing roofs. 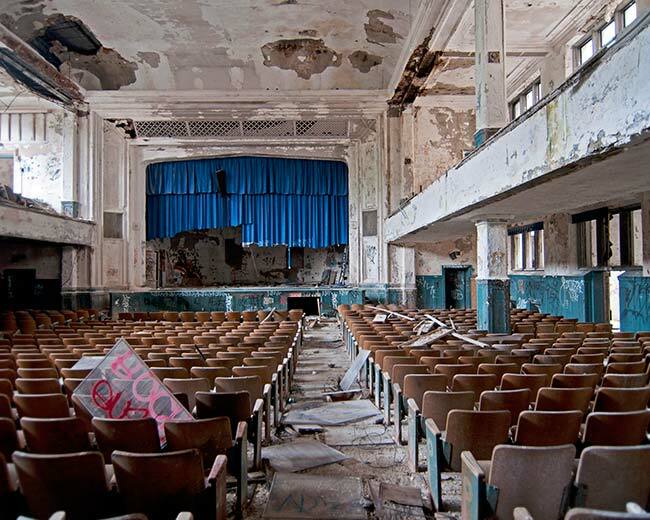 The camera's perspective is that of a last audience member, viewing the unfolding spectacle of decrepitude. 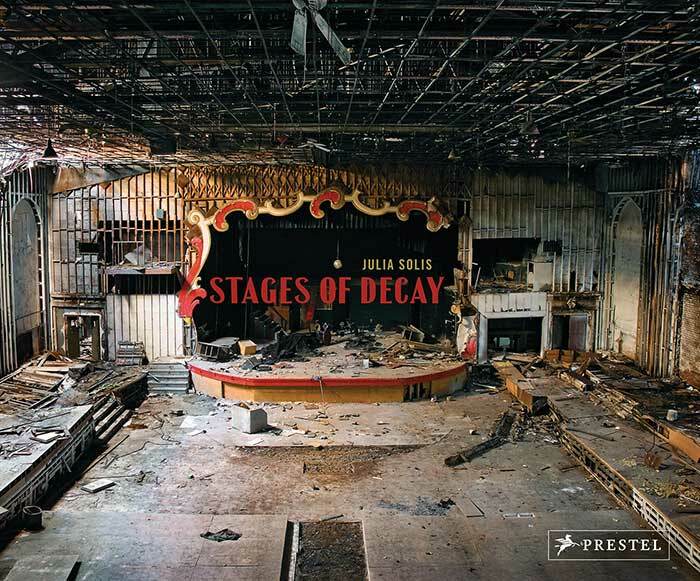 Stages of Decay is a glimpse at what happens after the final curtain has dropped. 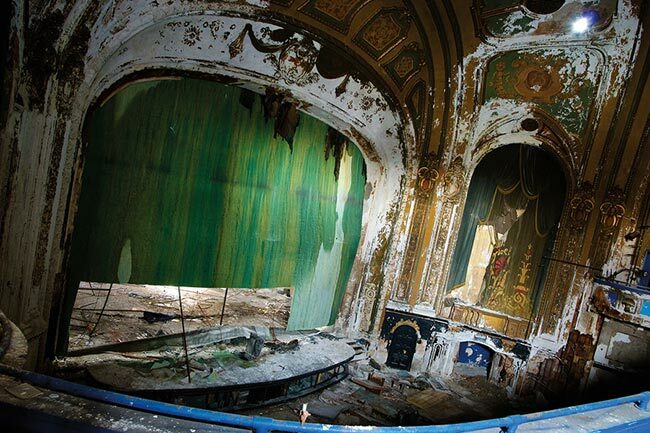 The project depicts nearly 200 stages in the US and Europe, photographed over more than a decade. 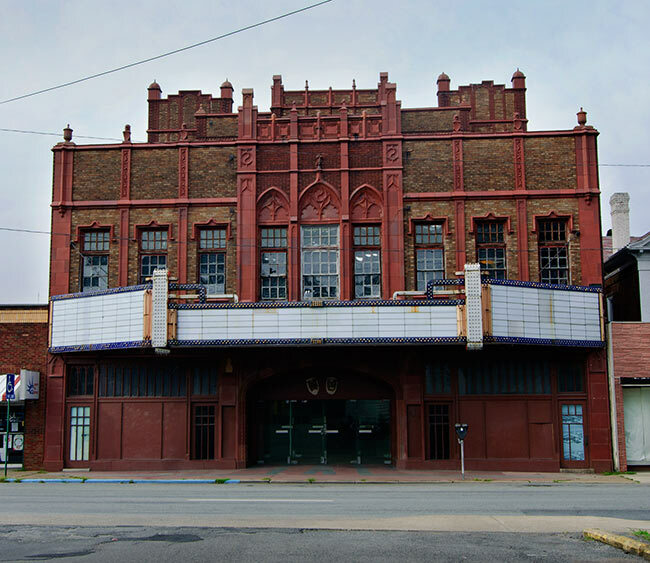 Many of those locations no longer exist, but they still have their place in the constellation of dead theaters. Some have been portrayed extensively by historians or photographers. 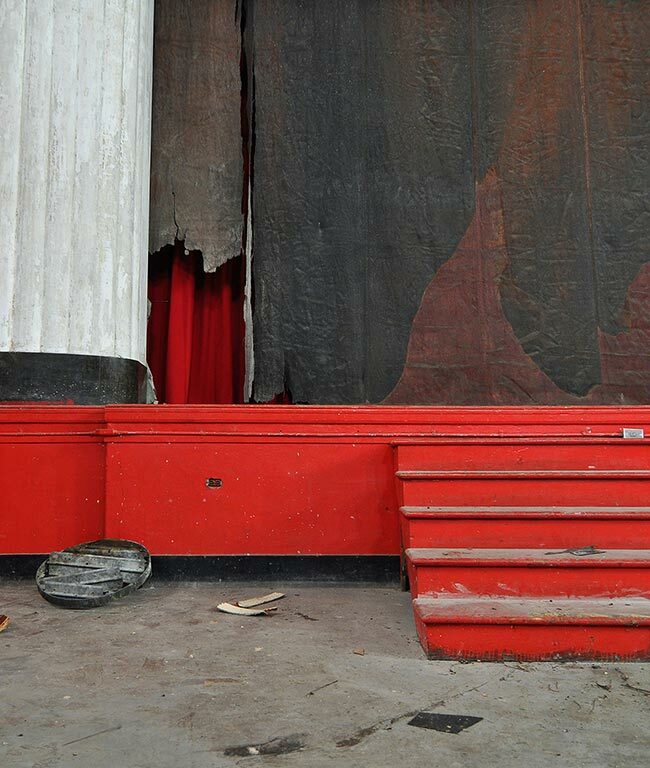 This project, in contrast, isn't meant as a documentation as much as a celebration of these ruined spaces, as the theaters are slowly turning into the playgrounds of their own demise.